Events, whether private “trade shows”, users conferences or association and member events, all have similar issues. They generally know who is at their event (registration) but they don’t know where they go, who they speak with and if they are interested in products and services shown by the organizer or paid exhibitors. In spite of efforts by some exhibitors organizers there is still no clear winner of the technology which is used at events, until recently. Mobile led capture seems to be gaining traction. 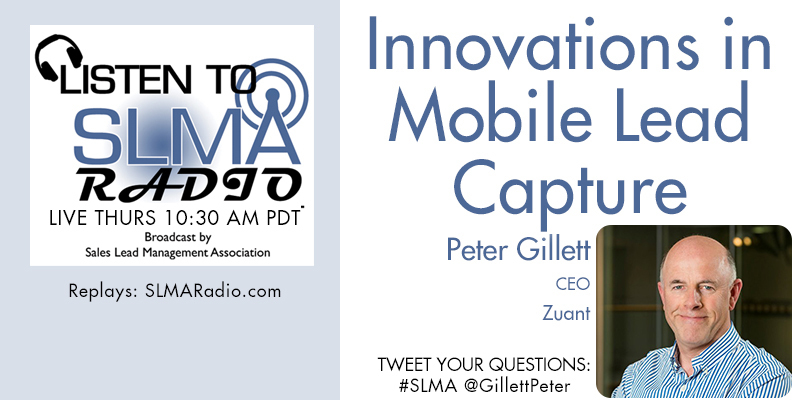 In this interview with Zuant's CEO Peter Gillett we get an update on Mobile Lead Capture. Zuant from High Performance Software is the company’s sole product focussed on mobile lead capture. More than half the workforce is employed on tech development to keep pace with an accelerating industry where the need for fast data capture increases in a digital world. As a result, Zuant is seen in 4 main application areas: Tradeshow, Everyday Sales, Market Research and Retail. The company’s core values are then concentrated on beautiful product UI combined with Customer Service Support which is 2nd to none.